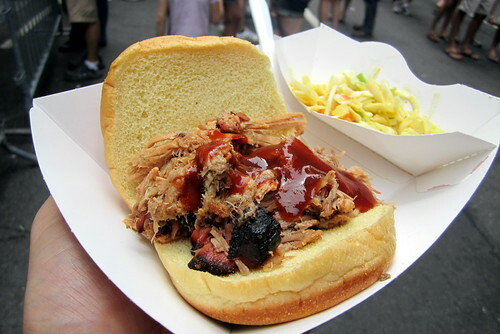 The 8th Annual Big Apple Barbecue Block Party took place in Madison Square Park on June 12 and 13, 2010. 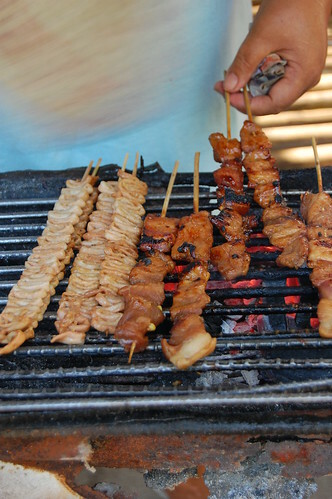 The Big Apple Barbecue Block Party brings together the country’s top pitmasters who cook up their award-winning food for over a hundred thousand barbecue enthusiasts. Led by pitmaster Chris Lilly, Big Bob Gibson Bar-B-Q, from Decatur, Alabama, served up Pulled Pork Shoulder. Big Bob Gibson Bar-B-Q has been serving fine, slow cooked meats and unforgettable sauces since 1925 when the 6’4, 800-pound Bob Gibson started with a makeshift table in his backyard. Four generations later, and the family businesses has expanded across the south and into supermarkets with their famous white sauce.